All of the Lapdogs are mixed-breed rescues who've come to us with no information about their parents, except for Penny (Mom was a purebred Doberman). Which means when we hear "what a cute dog, what is he/she," we can only answer with our best guesses. 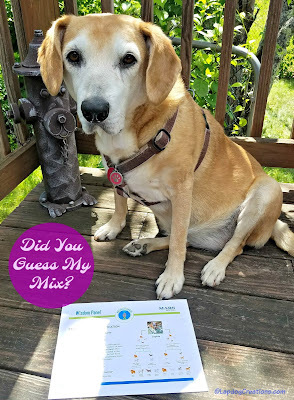 Those guesses tend to be a combination of what the rescues listed them as (don't get me started on the number of "lab mixes" listed on Petfinder who have absolutely no Labrador in them), our own experience and research over the years, as well as observations of other dog owners. Sure, "guess the breed mix" is a fun party game, but wouldn't it be cool to find out just what your lovable mutt really is? While their ancestry may not really matter to you, it can actually benefit your dog's health and wellbeing in the long run. Knowing what your dog's predominant breeds are will allow you and your vet to discuss the potential health issues associated with specific breeds, such as hip dysplasia, heart disease, and cancer. And, if you test a puppy, you'll have a better idea of what her energy level will be as she grows, as well as how big she'll get. 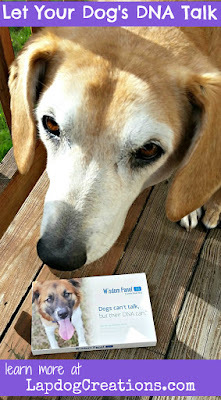 Last fall we were able to find out about Penny's Daddy thanks to our friends at Chewy and Wisdom Panel. And yes, it was cool - really cool - to find out what her Daddy was... and boy were we surprised! 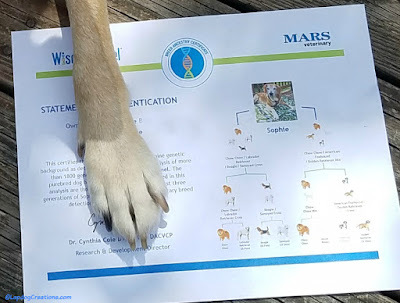 So when those awesome friends of ours over at Chewy asked if we wanted to try the Wisdom Panel 3.0 DNA Test Kit for Dogs again, I jumped at the chance to unlock an even bigger mystery... Sophie's genetic make-up! I love how quick and easy the Wisdom Panel kit is to use. It includes two swabs, which you simply role between your dog's cheek and gums, then allow to air dry (the box includes holes designed to hold them upright for drying). 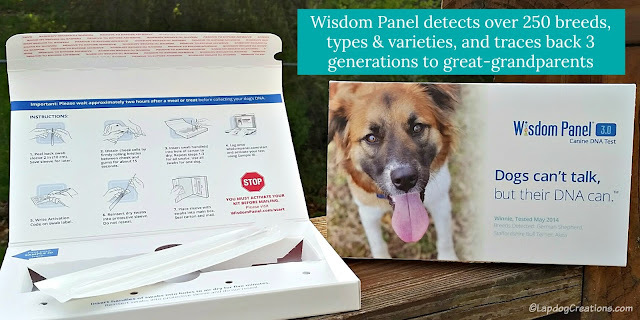 While the swabs are drying, visit Wisdom Panel's website to activate your kit. Activation generates a special code which you will need to write on the swab sleeves. After they are dried, just pop the swabs back into the sleeves, place them inside the box, seal it up and drop it in any mailbox (the box has a postage-paid label on it)! The process couldn't be any simpler, and the fact that the packaging doubles as the carton to ship the DNA samples back to the lab makes it as efficient as possible. *A portion of Sophie's ancestry was predicted to be mixed beyond the three generations which Wisdom Panel tests for. The breed groups with the strongest statistical likelihood were listed (Herding, Asian, Guard, Companion). We were more than surprised by the results and hey, would you look at that? It turns out my girl is part Labrador, and no, she was not listed as a "lab mix" on Petfinder. We had always guessed our short-legged girl was a Beagle / Basset Hound / something-something mix. I even thought that she might have some Akita in her. I never would have guessed Chow Chow, but that might explain her really thick coat (Penny also has some Chow Chow in her, which is a little ironic). I can see signs of the Samoyed in her face, but again, never would have guessed that. And while we didn't guess it, Golden Retriever makes perfect sense. Not only does she have the golden coloring, but her face has certainly developed that "white mask" senior Goldens are known for. 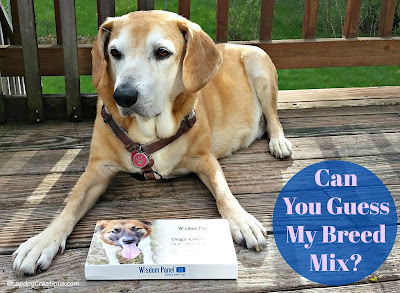 For those who may be wondering what the difference between the "Cross" and "Mix" classifications are, the Cross parent shows purebred crosses all the way back to her great-grandparents, while the Mix parent involves a mixed breed great-grandparent. Information on each of the breeds identified; including traits, behaviors, etc. We are more than pleased with Wisdom Panel and think you will be too! You can order a Wisdom Panel kit at Chewy and start tracking your own dog's ancestry today! The kit also makes a great gift for parents of new adopted shelter pets. I always thought she looks like a Lab/Golden in the face, and I never noticed that Sophie has sort legs. Hooray for Wisdom Panel for sorting all of this out! We used them for Bebop because of your report on Penny, and their service was really fast and detailed. I got one at a conference and ran it on my parents' dog for fun: turns out their 25 pounds 15 inch tall reddish mix breed dog is part St Bernard, part Chow and part Lab. I almost fell out of my chair laughing when I read it....he was 2 years old at the time and the results said "your dog may grown to 60 pounds". Geez I hope not or my parents need to cut back on his meals. Two of my three dogs are mixed breeds. One is a whippet and schnauzer mix, and we call him a schnippet. The other is a maltese and poodle mix. I call him a pootese. This is awesome. I've never heard of Wisdom Panel before. I'll have to check it out. I wouldn't have guessed that Sophie has Chow Chow from both parents! I did think she was part Lab. I would love to get Theo tested some day! How interesting is that! That would be fun to find out what one's pup is. Thanks for sharing. We love Chewy products. My in laws have a dog that this would be great for! Until I read this post, I didn't realize dog DNA tests were able to be done by everyone and that it would be so easy. This is a great resource for all of us who love our dogs. Omg what a cute furbaby you have!!! So neat that you can do these types of things these days. I would have never guess chow!!! So neat! How fabulous is this! I would never have thought she was Chow Chow!!! Great post and thank you for sharing! I knew you could do a genetics make up for Humans, but not dogs! That's amazing. Maybe we can take that information and learn from it instead of putting down so many animals. Your pup is adorable. What an interesting mix! I never would have guessed Chow Chow. I need to do this for RIngo. No idea what he really is! This was very interesting. I never would have guessed Chow Chow either! My parents had a DNA test done on their dog. We weren't surprised with the largest percentage, but some of the other were quite a surprise. I think that the Wisdom Panel is quite interesting and useful. We do tend to choose purebred Rotties though I have my suspicions that Cookie might have some Bloodnound blood in her. I can't wait to try this with my Benji!! How fascinating! 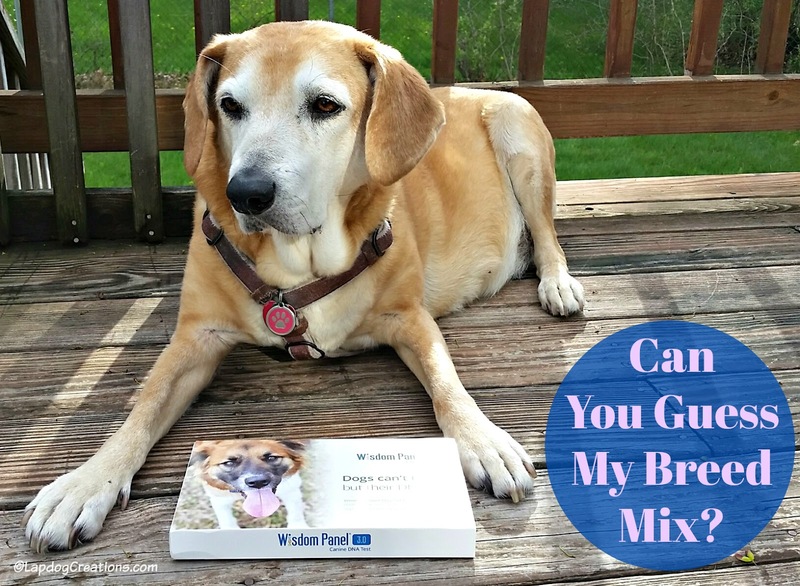 It is so cool that tests like this have been made affordable for typical dog owners. There is so much that you could learn about your dog this way. I feel pretty special that both of my guesses for Sophie's breed mix were actually in the mix! Maybe one day there will be a test like this for cats too. It isn't quite as important for cats, but it would be neat to see where my kitties have come from. The Beagle I expected, you can see hints of it in her adorable face & ears. But Chow Chow!? I would never have guessed that! It's so nice to finally get the details. I'd love this for Phoebe. Oh wow, these are cool! It's so crazy that we can tell our DNA and our ancestors but to be able to do that for puppies is even better! Your sweet dog is absolutely adorable by the way! That is so cool, we would love to know Fenris' ancestry.